Field Analytics is the process of capturing, storing, managing, and utilizing field information. This can be a daunting process for farmers. Frequently data is either poorly collected or not collected at all, and then never fully utilized. At GRPP we help growers to capture better field information, store it for safe keeping, manage it in an organized fashion, and then utilize it to make management decisions. Our suite of solutions offers options that can fit any operation size. 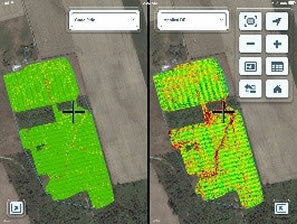 FieldView Cab is an iPad app that displays real-time maps from the 20/20 monitor. Real-time maps are tremendously useful, allowing issues to be spotted and rectified very quickly. Maps are always easily accessible to view, and can be taken to the field when scouting. 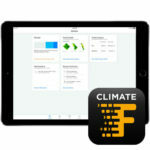 Climate FieldView is a cloud based subscription service that automatically collects information from your 20/20 monitor or FieldView Drive, and displays it on an iPad. Data can also be viewed and managed on an internet browser. Climate FieldView contains features that summarize/analyze field data, log weather information by field, provide aerial imagery, and more. It is a multi feature platform that simplifies data collection and storage. More functionality is continually being added to the Climate FieldView platform. With our internal expertise and software, GRPP can help operations of any size manage their field information. 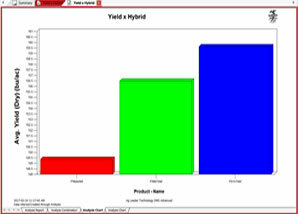 Basic management helps growers back up their data, organize it for future use, and create a management tree. Advanced level management is available including data analysis and variable rate prescriptions.